As a conference on computational science, as well as a workshop on the successful and productive use of state-of-the-art supercomputers, AHPC15 aimed at bringing together scientists and technicians with a background and interest in scientific supercomputing. It highlighted recent developments and trends for efficient supercomputer applications, as well as strategic issues for the future development of HPC in Austria. Also included was a one-day training on debugging with TotalView, MemoryScape, and the ReplayEngine. The meeting intended to foster new insights and collaborations for a sustainable and flourishing HPC landscape in Austria. 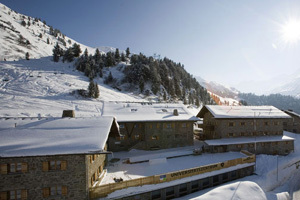 The meeting was organized by the Research Area Scientific Computing of the University of Innsbruck and took place in the beautiful Obergurgl University Center in Obergurgl (Tyrol, Austria).